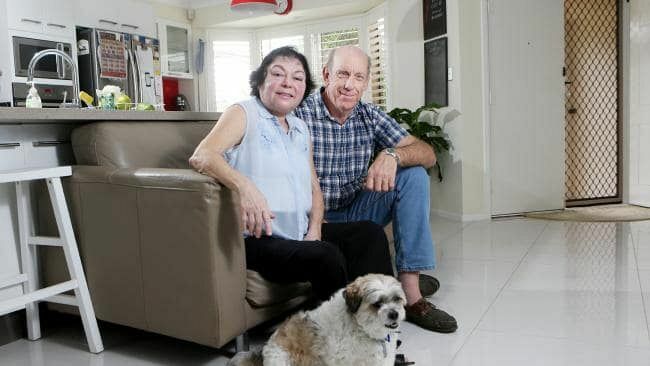 PETER Button and Cathy Zappala are revelling in early retirement — and they have negative gearing to thank for it. The Brisbane couple recently sold their eight investment properties, all located in and around the suburbs of Chermside and Wavell Heights, and put the money into their superannuation. “We’re fortunate to be able to choose to retire now, and be able to travel and afford a house and not have any debt,” Mr Button, 62, said. But the couple had to be sensible with money and savvy at tax time to get to that position. “We put our necks on the line by getting ourselves $1 million worth of mortgages, so we were really careful to maintain good relationships with our tenants to keep them there and look after them,” Mr Button said. Mr Button also made sure he maximised their deductions at tax time by keeping a record of all costs including legal bills, insurance, council rates, management fees, travel expenses and maintenance and repair costs. All eight properties were negatively geared and the couple estimate they claimed around $7000 in expenses and up to $4000 in interest from each of them every year. Mr Button also rotated fittings and fixtures in the properties every two to three years because he knew that by maintaining the properties, he could increase their sales value. Almost seven out of 10 rental properties in Queensland are negatively geared, with landlords in the red claiming billions of dollars in expenses in their tax returns, according to data from the Australian Taxation Office analysed by comparison site finder.com.au. In fact, more rental properties are negatively geared in the sunshine state than anywhere else in the country. And those properties that still have a mortgage attached are deducting an average of $8,653 per year in interest on their home loans. Finder.com.au money expert Bessie Hassan said billions of dollars worth of tax could be saved through negative gearing, although claims differed between states and territories. “Expenses like travel for landlords, gardening and lawn mowing can all be claimed by property investors,” Ms Hassan said. Ms Hassan said recent research into pivot loans, also known as ‘loan reducer’ home loans, suggested property investors were paying interest as low as 1.9 per cent on their personal owner occupier home loans by bundling with their investment properties. “The perks for property investors in this country don’t stop at negative gearing, now landlords can even use their personal home loan to save on tax,” she said. But housing tax policy has been a hot political issue as home ­prices reached sky-high levels in the east coast capital cities in recent years. The Australian Housing and Urban Research Institute is calling for a gradual phase-out of negative gearing tax concessions, saying it could save taxpayers more than $1.7 billion a year from the annual $3 billion cost of negative gearing tax deductions. A new report by the AHURI recommends a cap on housing-related tax deductions that should be phased in over 10 years, starting with a $20,000 cap and falling by $1500 a year to a final limit of $5000. “One of our key findings is that gradually reducing the generosity of capital gains tax and negative gearing provisions over a decade-long time frame would result in only a modest impact on the after-tax return from housing investors for most ‘mum and dad’ investors,” lead report author and University of Tasmania professor Richard Eccleston said. Rental income for Queensland landlords increased 3.1 per cent in the past financial year, according to data from the ATO, and is tipped to continue to rise. The latest quarterly rental review from CoreLogic reveals Brisbane’s median weekly rent rose 0.3 per cent over the past quarter and has increased 1.2 per cent in the past year to $435 — the strongest rental growth in the city since July 2015. Brisbane’s gross rental yield at the end of June was a healthy 4.43 per cent. Mr Button said he only increased rents in his properties to cover inflation, the majority of rent and rates. “Any other maintenance costs we’d cover ourselves,” he said. A new study by finder.com.au has found Brisbane property owners are also spending less on mortgage repayments than any other capital city. Landlords in Brisbane spend on average 17 per cent of their income on home loan repayments. That’s well below the ‘mortgage stress’ threshold of 30 per cent — touted as the danger zone for borrowers. Brisbane homeowners spend $1,122 a month on their mortgage on average, which is roughly one sixth of the average national monthly wage of $6,794. Ms Hassan advised would-be property buyers to reduce other debt obligations before applying for a mortgage. “You don’t want to just scrape by after paying all your expenses because interest rates would only have to increase slightly to feel mortgage stress,” she said.